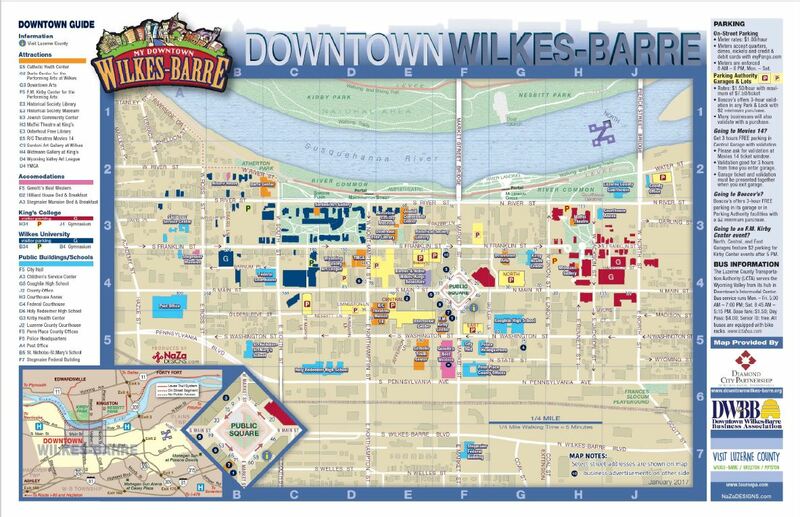 WILKES-BARRE — Are you ready for ChalkFest? The annual community art festival on the River Common just took place last week, but organizers are already looking ahead to next year’s event. Not only are they eyeing a different Guinness World Record to aim for, a series of anniversaries could make the colorful gathering the centerpiece of a summer dedicated to local history and family fun, Riverfront Parks Committee Executive Director John Maday told an audience of community leaders during Friday morning’s meeting of the Downtown Wilkes-Barre Business Association. That’s because 2019 will mark the 250th anniversary of Wilkes-Barre’s settlement, Maday said, as well as the 100th anniversary of the Market Street Bridge, 10 years since the River Common ribbon-cutting — and, most of all, the 10th ChalkFest. Whatever the calendar says, Maday saw in last weekend’s outing a recipe for continued success. Area residents both young and old turned out Sept. 29 in an attempt to break Greeley, Colorado’s Guinness World Record of 3.55 miles for longest chalk drawing. They fell short, but Maday said next year the event may aim for creating the largest chalk drawing, in terms of total surface area. That record currently belongs to Indianapolis, Ind., where roughly 500 people came together in September 2017 to draw more than 4,000 feet of chalk art on a local trail. Maday believes the River Common “easily has enough space” to accommodate such a mammoth artwork. In keeping with the theme of Friday’s meeting, Maday and Diamond City Partnership Executive Director Larry Newman described hearing from some visitors to ChalkFest who had come from surrounding communities and admitted they had not realized how spacious and scenic the River Common is. Newman also shared with the group information about the upcoming Downtown Wilkes-Barre Business Improvement District renewal process, as well as discussing the results of the partnership’s 2018 perception and use survey. Two-thirds of respondents to that survey said they believe downtown is headed in the right direction, Newman explained, including broadly positive views on such issues as safety, amenities and cleanliness.